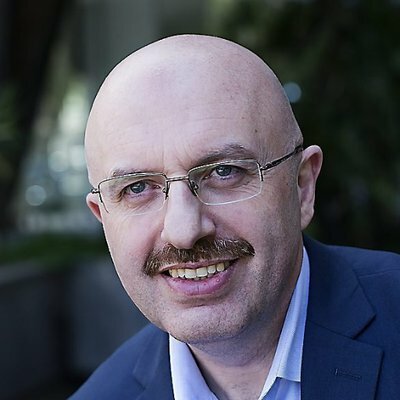 Home » Commentary » Contributor » What if Turkey’s snap election results in a split government and parliament? What if Turkey’s snap election results in a split government and parliament? When Turkey’s Justice and Development Party (AKP) decided to go for a snap election, its main fear was an emerging public tendency to vote for President Erdogan, but not for his party. That would leave Erdogan a lame duck for the first time in his almost two decades long executive leadership. As the country enters the last two weeks of the election campaigning, the fear is now just the opposite: a tendency to vote for the AKP and not for President Erdogan. As the new constitution binds the fate of the president to that of the parliament, both are doomsday scenarios for Turkish democracy. Erdogan’s new executive presidency system works only when the same party controls both the executive and the legislative. Most of the recent public surveys estimate a parliament with the Kurdish Peoples’ Democracy Party (HDP) passing the 10 per cent threshold and President Erdogan’s electoral Public Coalition (Cumhur Ittifaki) losing the parliamentary majority. If HDP fails to enter the parliament, the threat is still valid with Erdogan himself losing the presidential race to either Muharrem Ince or Meral Aksener, his two meaningful rivals, and yet the AKP having the parliamentary majority. In either case, Turkey can face a president who is both the leader of the executive and one of the opposition parties. Though there had been many speculations about these plans, a president who does not have the parliamentary majority will have only three options: to look for a coalition in the parliament, to go to an early election and to continue ruling the country as if s/he does not need any parliamentary approval at all. Plan A, or the first option is almost already exhausted if the president-elect will be Erdogan himself. 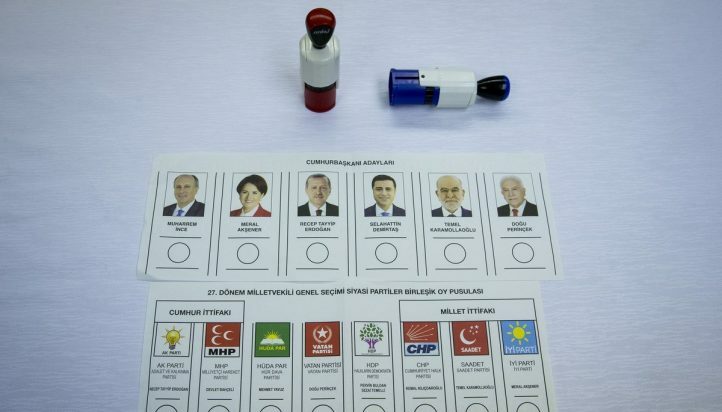 Erdogan’s AKP, Devlet Bahceli’s MHP and the Islamo-Nationalist Grand Unity Party (BBP) have already formed the electoral Public Coalition (Cumhur İttifakı). In the existence of these two nationalist parties in the governing coalition, neither the Kurdish nationalist HDP and the mildly nationalist Good Party (IYI) of Meral Aksener will be welcomed in the coalition; and in their absence neither will be able to give AKP the winning majority. If, on the other hand, the president-elect is one of the two leading opposition candidates with a Public Coalition majority in the parliament, IYI will have similar difficulties in sitting with HDP or MHP that may defect from the Public Coalition. Pro-Erdogan circles have already started putting pressure on IYI leader Meral Aksener to make a declaration that she will never support a presidential candidate that will be supported also by HDP or sit in the same coalition with “those terrorists”. The first part of such a promise will guarantee President Erdogan’s re-election at the second round, the second part, a future coalition between the Public Coalition and IYI. AKP-MHP-BBP-IYI coalition looks as the only workable track of Plan A, but it would involve a lot of ingratitude at the part of IYI to CHP that even lent the party 15 members of the parliament to guarantee Meral Aksener’s candidacy in the presidential race. It would also necessitate a mutual forgiveness between MHP and its traitor-defectors in IYI, including Aksener herself. Difficult it may sound, but Plans B and C are not any more promising. Plan B is precisely what AKP did after the 7 June 2015 election: a repeat election. The problem with this plan is that it will need an external crisis that will convince the Turkish public to re-unite around President Erdogan. It was a sudden surge of terrorism in 2015, and a rerun of the same film won’t be as convincing this time, particularly given the fact that neither PKK nor ISIS are as strong as they were back in the summer of 2015. A war can also do the same, but Erdogan has already consummated that option in Syria and Iraqi Kurdistan. A confrontation in and around Cyprus or the Aegean islands may be another wound to stir, yet such a plot will always have its repercussions. A best but seemingly impossible option is yet another coup attempt — another “grace from God” as Erdogan would say. Though seemingly impossible, this option is already pronounced by AKP’s interior minister Suleyman Soylu and the Public Coalition’s smaller partner MHP’s leader Devlet Bahceli last week, with assurances that this time all the putschist will be exterminated. Whatever external crisis the president-elect will find for the change of the public’s voting behaviour, a repeat election will also consume one of the two terms a president can serve. By way of going to a repeat election for the parliament, the president-elect will also call for an early election for the presidential office and will have to risk deselection. If the president-elect is Erdogan, and if he decides to go for a repeat election, he may guarantee that the country will get rid of him in 2023 forever, provided that he will not impose a constitutional amendment and declare himself the president of the country until his death; or scrapping the two-term limit for the presidential office. Plan C is, in fact, the easiest one. President Erdogan of Turkey has effectively side-lined the Parliament since the 2016 Coup Attempt and used it only when he deemed fit. Turkey is and may stay under State of Emergency (SoE) for several years to come, both because of a failure of the opposition to unite to disapprove its extension, or because of the constitutional power given to the President to declare SoE under certain circumstances and the President might continue to enjoy powers to promulgate laws without parliamentary approval. This was done, in the last two years, with the tacit approval of the parliament. A parliament controlled by the opposition will be able to pass laws against the President’s statutory laws and decrees and it will be able to disapprove the budget and international agreements. As these last two acts of the parliament are not laws technically, they cannot be performed by the president even under the State of Emergency. Still, there is disagreement about what happens if the parliament does not approve the budget and the President decides to go on with the budget or does not take the budget into consideration at all. Further still, a loss of parliamentary majority for the government does not necessarily guarantee a united opposition in the parliament. In theory, the parliament has mechanisms to call for early elections and to block the President from doing the same. But for either one of these, the opposition will need a majority of three fifths (360 out of 600 seats), which seems rather implausible. Turkey’s checks and balances system do not guarantee to keep the executive or the legislative under meaningful limits but rather guarantees a dead-end if both of the organs are not controlled by the same party. Once they are, the system guarantees only a unification of powers and a superb-easy governability. While aiming to have a free ride in governing Turkey to her assertive 2023 targets, President Erdogan might have prepared his own end and dug the political grave of his party. Whether the Turkish democracy will be buried with AKP or not is a question to be answered by the voters on the 24th of June and by the new government that will decide either to hold on to the executive presidency system or to turn back to a parliamentary democracy system with strengthened checks and balances mechanisms securing an independent judiciary, rule of law and democratic governance.